A generated document can be sent by e-mail automatically via E-mail Alert workflow action. This action allows you to create an e-mail message that will be sent to specified addresses, when a certain event occurs in the frames of the workflow. The E-mail Alert action includes the Attach Document dropdown, where you can select a document that should be automatically sent by email. To render the document output as a PDF file or a DOCX file, set the Output Format in the document settings. The action can be triggered by a Workflow Trigger or by a Custom Button. So at first you should create a new trigger or a new custom button or use an existing one. To add an E-mail Alert workflow action, edit the existing trigger or custom button. Fill in the New Email Alert form according to your needs and choose the document in the Attach Document dropdown displayed at the end of the form. More details about the E-mail Alert setting are listed below. In the Name field enter a name of the alert. In the Description field enter an e-mail alert description if needed. Specify from whom the e-mail should be sent. The e-mail alert will be sent from the notify@teamdesk.net email address. A database owner name and e-mail will be indicated in the From field of the e-mail alert. Your user name and e-mail will be indicated in the From field of the e-mail alert. If there are columns of the E-mail type in a table, you can specify a column name. As a result, the column value will be displayed in the From field of the e-mail alert. Select options defining to whom an e-mail alert should be sent. You can specify one or many options described below. The e-mail alert will be sent to all users who have the access to a record. The e-mail alert will be sent to your user e-mail. You entered this e-mail, when registered as a database user. You can specify a user whom the e-mail alert will be sent. You can choose a role and the e-mail alert will be sent to the users whom this role is assigned. If there are columns of the E-mail type in a table, you can specify a column name. 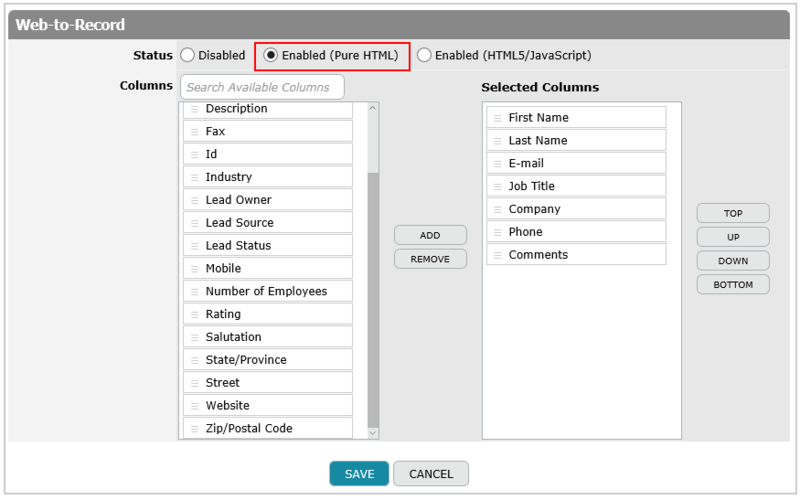 As a result the e-mail alert will be sent to the e-mail value displayed in this column. You can type-in a specific e-mail address and the e-mail alert will be sent to it. If it is necessary, in the Cc and Bcc fields, you can define to whom a copy of the e-mail alert should be sent. In the Subject field enter the subject of the alert. In the Body field enter the basic information of the e-mail alert. Note that the body of the e-mail notification may contain placeholders (for example, the name of the action: modifying/adding/deleting table records). To configure the body of the message, use the % sign to choose and insert the placeholders you need. Also you can click [ to list all columns of a table and insert column variables you need. Moreover, you can type first letters of the column name after the [ sign and the columns starting with these letters will be displayed in the dropdown. In the Format subsection select a necessary format of a reminder: HTML or Plain Text.